Are Utilities’ Concerns About Aging Infrastructure Overblown? A recent survey identified aging infrastructure as the most common concern that is keeping electric utility professionals up at night. Perhaps they should rest a little easier. Aging utility infrastructure isn’t the ticking time bomb that many perceive it to be, argues Lee Willis, a veteran utility consultant with Quanta Technology and author of a 2013 book on the subject. 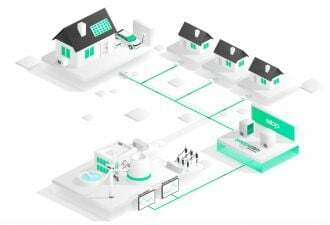 That’s not to say that replacing old equipment won’t be a growing cost for utilities in the years ahead, says Willis, but the experience will be more like wading through quicksand than falling off a cliff. “It is the biggest manageable problem they have,” according to Willis. The key word is “manageable.” Willis says utilities that steadily and systematically identify, then refurbish or replace problem equipment -- regardless of age -- will find a financially sustainable path. Since the late 1990s, there’s been growing alarm within the electric utility industry about the age of infrastructure. Willis makes the case that much of that fear is misdirected or misinformed. 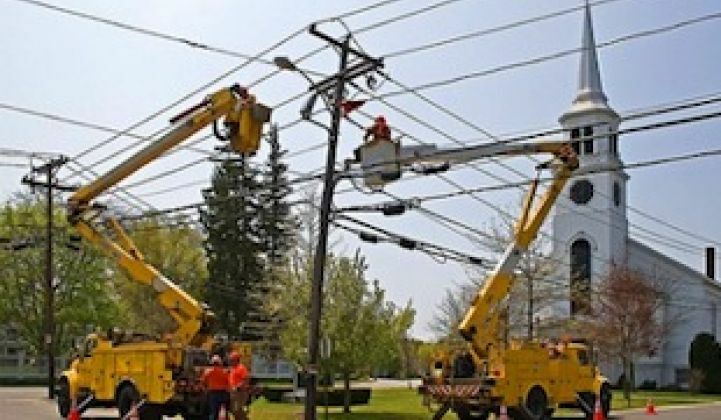 It’s true that many of the cables, poles, transformers and circuit breakers that make up the U.S. electricity grid are approaching 40 or 50 years in service, but that doesn’t mean a disaster is imminent, he says. That’s because equipment failure rates increase very gradually over time. The statistical odds of a breakdown increase each year, but there is no cliff at the half-century mark, Willis said. What's more, a piece of equipment that is still in place and operational at 50 years is probably a survivor. It’s probably been well made and well maintained, which improves its odds of lasting another twenty or 30 years. One example Willis cites is a system in the Northeast U.S. where the average life of a distribution pole is 56 years. However, poles that surpass that mark stand, on average, for another nineteen years. Some even last a total of 75 to 85 years. The answer isn’t for utilities to start replacing equipment from oldest to newest, Willis asserts, but rather to take a more strategic approach that recognizes age is only one indicator of the infrastructure’s reliability. He advises companies to use software to track equipment performance and identify patterns and potential problems before something fails. “Ideally, we can identify the equipment that is going to become a bad actor -- old or new -- just before it does and get it out of there,” says Willis. Another option is to refurbish it to extend the equipment’s life. Creating that type of system will require utilities to spend a little more money on software and staffing, but it will also save companies the cost of replacing some equipment simply because it’s old. The recent survey, conducted by Utility Dive and distributed to more than 500 utility professionals, showed aging infrastructure was by far the most common response when participants were asked to name the most pressing challenge facing their utility. Forty-eight percent chose old infrastructure, while less than one-third selected distributed generation, regulatory models or flat demand growth. Willis says the aging infrastructure problem will “gradually get a bit worse for many years to come,” but it’s not the kind of thing that should cause lost sleep among utility professionals. Editor's note: This article is reposted from Midwest Energy News. Author credit goes to Dan Haugen.